just me, myself and I. You could easy call it my ego self. same personality as myself. because, is self. Dislikes: stupid (not ignorant)people,those who lack empathy. non that are furries or therians. 5 generations of relatives scattered across the US and many more in France and Argentina. none when I can get away with it. new look, same grate taste! now with 20% more cat! 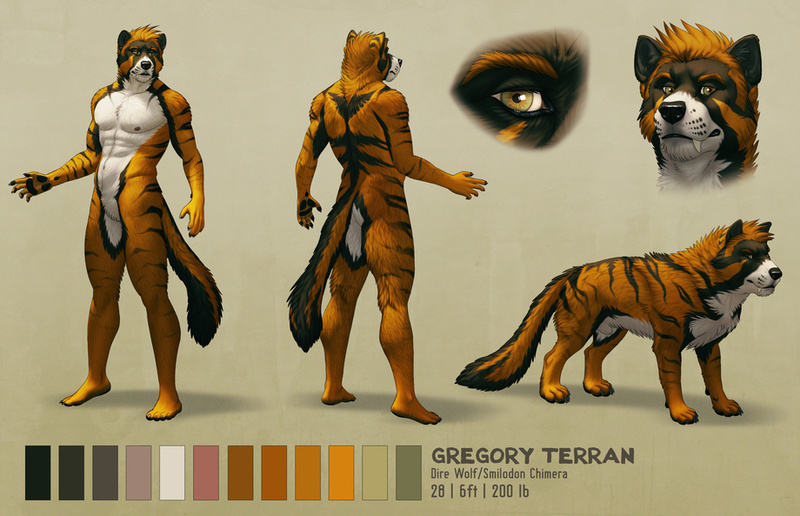 A lot of little changes, biggest one though is that this is my Therian self and not a real 'fursona'. I love the feral version. The thick neck and bulky body is great. Just the type of feline my raccoon fursona would be trying to make a pet out of him. Curious, how big is the feral version? Everything is drawn to scale. So, your looking at something that's in the three foot range at the shoulders.